If you’ve found yourself admiring a mid-century modern home and wondering about its genesis, look to our German cousins. The clean, unique, and sensible style can be traced back to a movement that started in Germany almost 100 years ago. 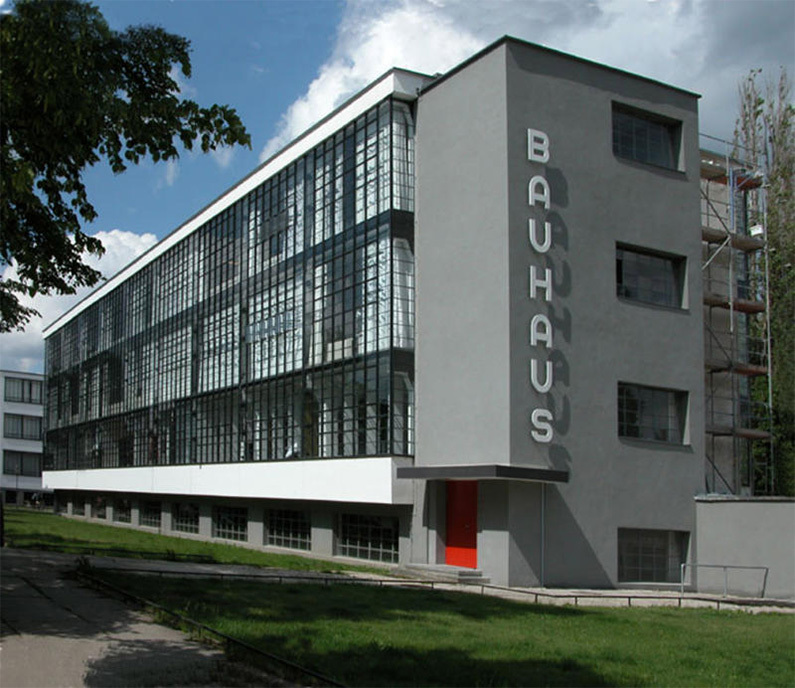 Founded by architect Walter Gropius, Bauhaus, literally interpreted as “house of building,” began as an art school in Weimar, Germany. With a crippled economy and room for creative expression post World War I, a movement towards stylish and functional design emerged. Gropius wanted to create art that could be useful to people, admired and applicable in everyday life. If the Wiener Werkstatte in Austria twenty years before it sought to differentiate between art and utilitarianism, Bauhaus sought a middle ground: to find a place where functionality and aesthetics could unite. Unlike the Wiener Werkstatte where pieces were created for the elite, Bauhaus artists focused on design that was accessible to everyone. Bauhaus style is reflected in its second school in Dessau, Germany. Sadly, with the rise of the Third Reich in the 1930’s and restrictions on any art that wasn’t Nazi propaganda, Bauhaus schools were forced to close. Many of the designers immigrated to the United States, giving their influence to the style we see in homes throughout mid-century communities in America today. 2019 will mark 100 years since the founding of Bauhaus. If you can’t make it to one of the original buildings in Germany, you can pay tribute by visiting a mid-century modern home in your hometown. Written by Sonyx Fly. She is a blogger by night and spends her 9 to 5 in a brewery.